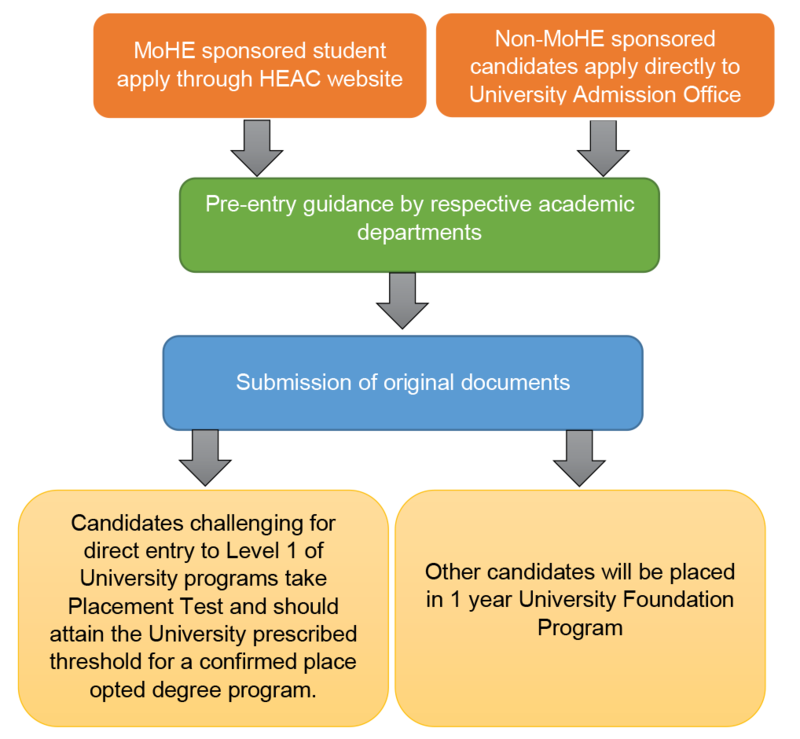 Omani applicants who are seeking full scholarship from the Ministry of Higher Education (MOHE) must apply through the Higher Education Admission Centre (HEAC) website. Non-sponsored/private/international applicants seeking direct admission must fill in and return the application form to the Office of Admissions and Registry. Forms are available from the Office of Admissions and Registry or can be downloaded by clicking here . 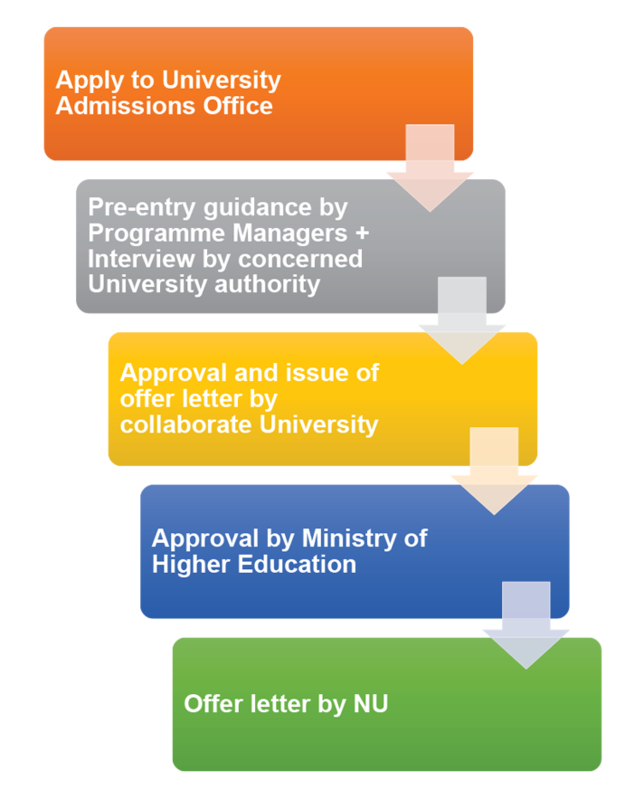 PLUS International applicants: An Equivalency certificate which is attested by the MOE, Sultanate of Oman. Applicants must submit original documents to the Office of Admissions and Registry at the time of admission. Failure to produce required documents or the required certificates might delay the completion of admissions formalities and admission to the programs. National University is proud to offer rich variety of masters level programs to enable students to pursue further studies in their chosen field. If the medium of instruction for the degree gained is not English, the students will normally be required to demonstrate evidence of satisfactory competence by holding one of the following recognized qualifications. Please contact respective campuses if you need more information or email your interest/requirements to admission@nu.edu.om.